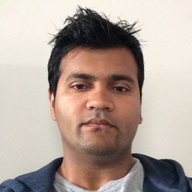 "Deepak Was Friendly, Efficient, Thorough, Informative And Very Tidy - Highly Recommended." "A1 Service All Round. Friendly And Reliable"
"Deepak Was Very Polite And Did The Work Within The Timescale He Promised"
"Very Professional, Polite And Went Beyond Expectations"
"On Time (Early! ), Polite, Friendly And Tidy." Need a Plumber or Heating Engineer in Addlestone?